Serving Cook and DuPage Counties. 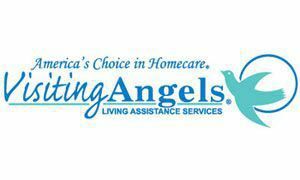 At VISITING ANGELS, we know that it isn`t easy to make the decision to invite a stranger into your home to provide non-medical homecare. That`s why our highly personalized screening system is the best in homecare and designed to maximize your peace of mind. You`ll have the opportunity to interview any caregiver who we refer to you. You`ll only accept a caregiver that you feel totally comfortable with. When you review our caregiver profiles, you`re going to be pleasantly surprised to see that at VISITING ANGELS, character matters! Our non-medical homecare system allows you to bring a top quality caregiver into your home with utmost affordability. Since we are a small agency, VISITING ANGELS has minimal overhead compared to most agencies. When other agencies quote high hourly rates, they are simply passing along their high overhead to you. VISITING ANGELS clients pay comparatively low fees. However, our caregivers receive top hourly fees. Other agencies who charge a higher fee for themselves to cover their high overhead experience a much greater turnover in caregivers. For this reason, we can attract and keep the best quality caregivers available.